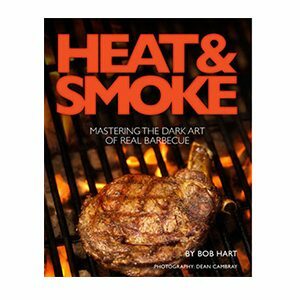 Bob Hart has been “thrilling the grill” for decades now but who is the man behind the apron? Bob wasn’t always a passionate BBQing aficionado. He studied journalism in Queensland and carved out a career writing the “first news”. He then travelled to London to write feature columns and show business articles for The Sun on Fleet Street. He went on to do a stint in the record industry but eventually found his way back to journalism and in particular, food writing in Melbourne in the 1990s. He found he was drawn to the art of BBQing whilst living in America in the 1980s and it was here he purchased his first Weber BBQ. And how many BBQs does a grill jockey need? Eight apparently. A Weber Smokey Mountain, Big Green Egg, Heatbeads Entertainer, Weber Kettle, Texas Smoker, Weber Genesis, Weber Baby Q and Spithouse spit roaster. Anyone hungry? If you are using cedar planks to complement your cooking process, purchase them from a BBQ store or untreated cedar shingles available at wood supply stores. 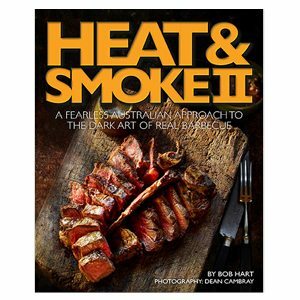 Bob Hart now runs exclusive cooking classes. It’s here you get to know the best practices for selecting and preparing your food for the BBQ. You are invited to participate in the actual cooking and have all your questions answered. You will also learn what flavours and ingredients complement each other and finally, sample your wares. 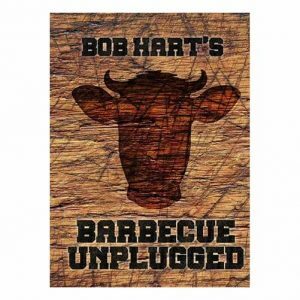 Bob is also just as committed to partnering the right wine with the right dish.